What is the meaning of cricket bats in L4D2? via Thwack! Left 4 Dead 2 survivors play a bit of cricket. 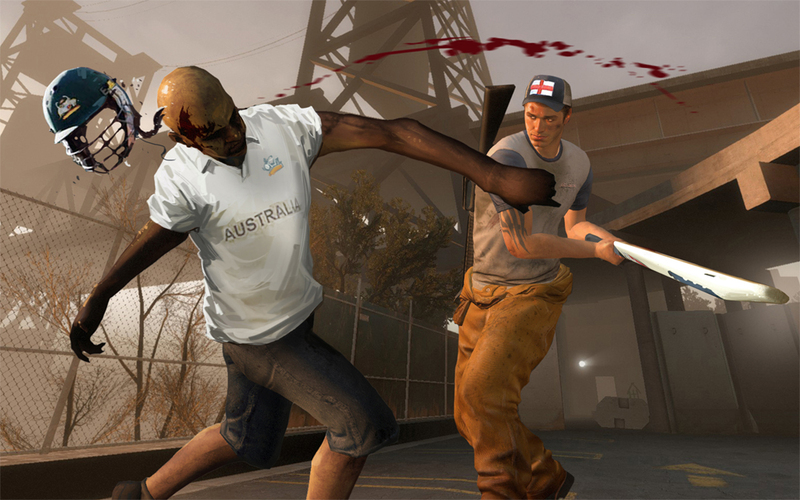 The REAL reason there’s a cricket bat in L4D2 is that the Ashes is currently being played in England, and the cricket bat symbolism in L4D2 is simply Valve’s way of saying that Australia (as represented by the Infected) are going to be beat silly by the English, as represented by the Survivors. Of course! So obvious, yet full of genius.